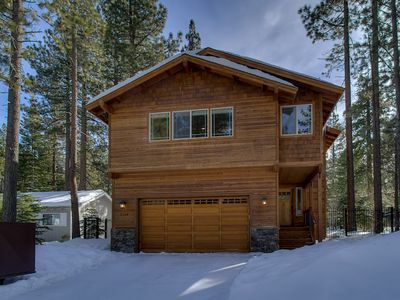 Cozy and beautiful 2 bedroom 2 bath cabin. 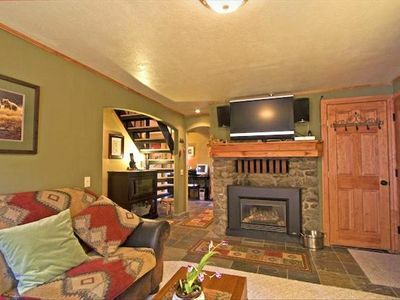 Entertaining fireplace upstairs and downstairs. Full service kitchen with dinning area. Private fenced in yard, pets welcome! 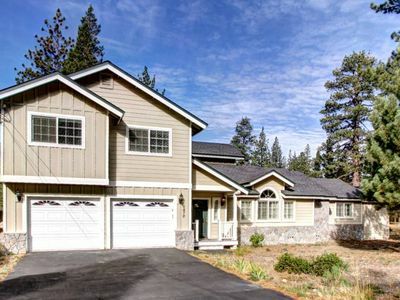 You are going to love this location in the Al Tahoe neighborhood! 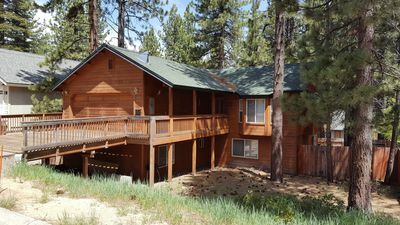 Our Cabin is unparalleled to any of the rest. 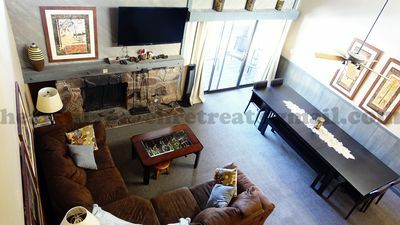 The Cabin was renovated with comfort and romantic getaways in mind while retaining the Lake Tahoe flavor. Slate floors throughout the kitchen, dining room, and downstairs bath blend with the granite and natural stone counter tops. The gourmet kitchen has stainless steel appliances. 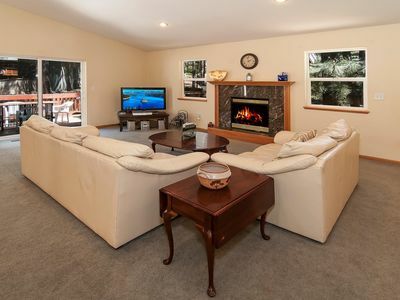 The cozy living room has a beautiful old fireplace and flat screen television with Premium Channels to enjoy your favorite sports and TV shows. The downstairs bedroom sleeps 2 comfortably W/ TWIN BEDS in the room. Climb the spiral staircase to the master suite you may never want to leave. 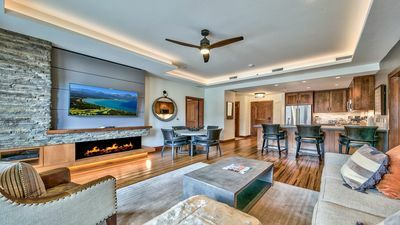 The Suite has pine, natural stone, and plush carpet. The connecting bath has a Jacuzzi tub with an adjoining walk-in shower. 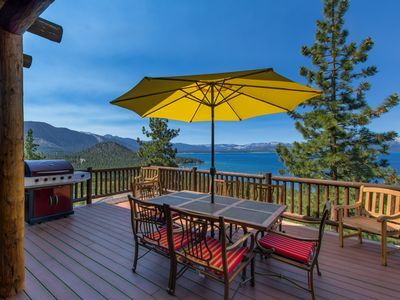 Enjoy the outdoors with hot tub, fire pit and BBQ. 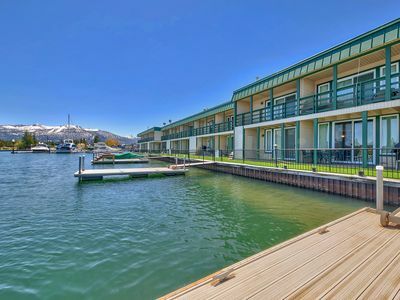 All these amenities, plus the Cabin is located five short blocks to the beach where you can swim, enjoy free summer concerts, rent stand-up paddle boards and participate in paddle board races. On Memorial Day, Fourth of July and Labor Day enjoy the fireworks down at the Lake! During the winter months, you are 2 miles to Heavenly! 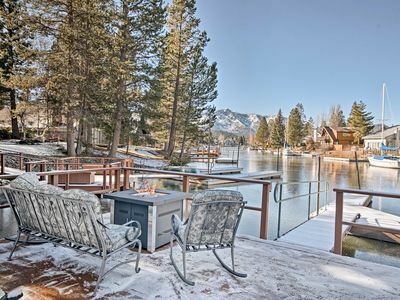 Snowboard, Ski or play in the snow. Drive to the slopes or take the free shuttle that is provided by Blue Go. Walk to the meadow to cross country ski or enjoy the views! 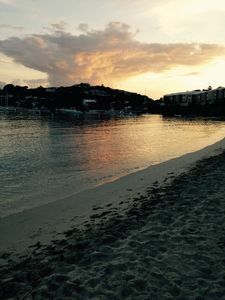 If that isn't enough to entice you to stay with us, you are only one block to Sprouts, RoJo's, bike and stand-up paddle rentals along with the local Video store and quick eats. Across the street (50) you can check out the Visitor's Center and free Historic Museum. Cut through the campground to enjoy the City ice skating rink, indoor/outdoor pool, gym and basketball complex along with the public library. You can walk everywhere or access the bike path at Rojo's. Peddle to Heavenly Village or head out in the other direction to Camp Richardson! 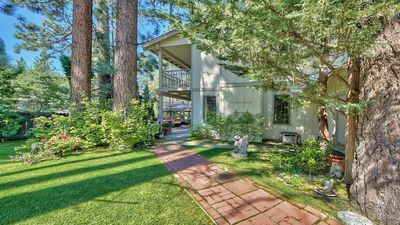 Walk to the end of the street to the meadow where the views will take your breath away! 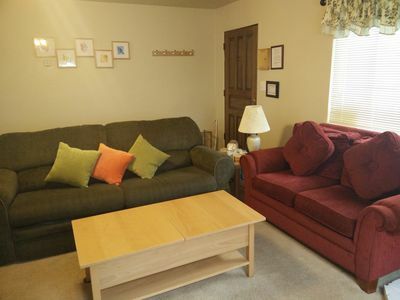 Once you come stay with us, I am confident you will be planning your next visit soon! View our Cozy Cabin on Facebook as well!!! Our Cabin bookings fill up quickly so book early! 7. SNOW! SNOW! SNOW! SNOW! 9. NEW YEARS! NEW YEARS! NEW YEARS! 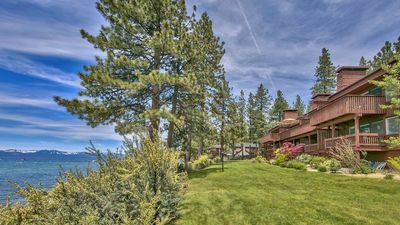 Tranquil Lake Tahoe beach and mountain retreat—Great for family and friends! 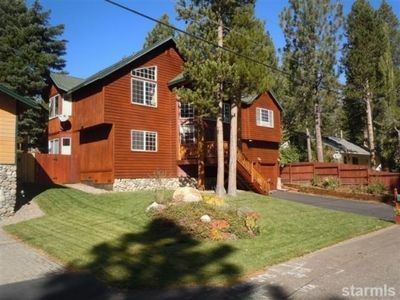 Welcoming Tahoe Retreat, 5 Minutes to Heavenly! 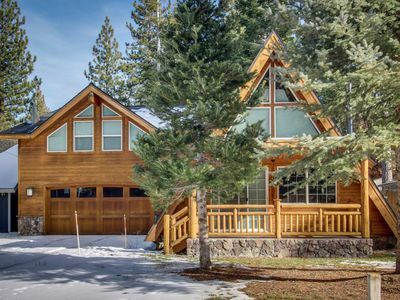 Tranquil, family-friendly A-frame retreat w/ a big backyard!